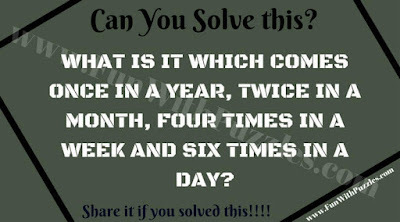 Can you think out of box? Can your brain think laterally? Can you think creatively to find the solution of a problem? Lets test your out of box thinking skills with this simple puzzle test. 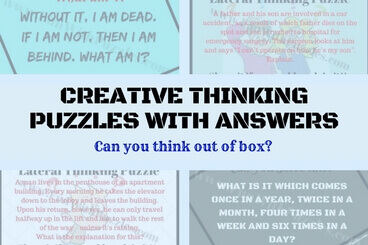 Here are 5 creative thinking puzzles which will make your think out of box. 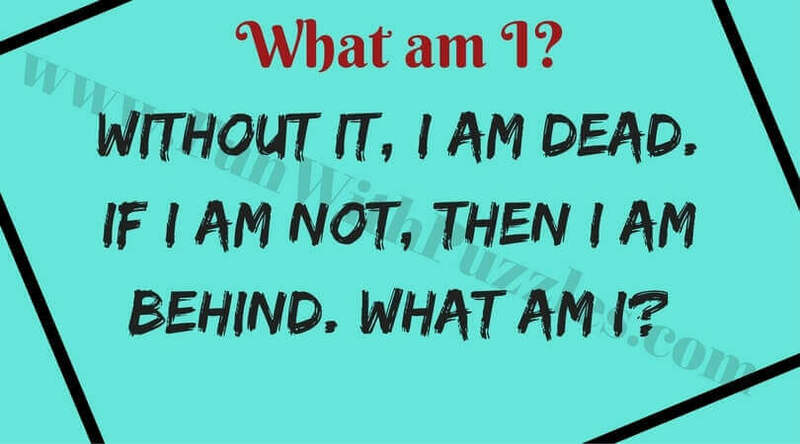 Lets see how many of these puzzles you can solve without looking at the answers? 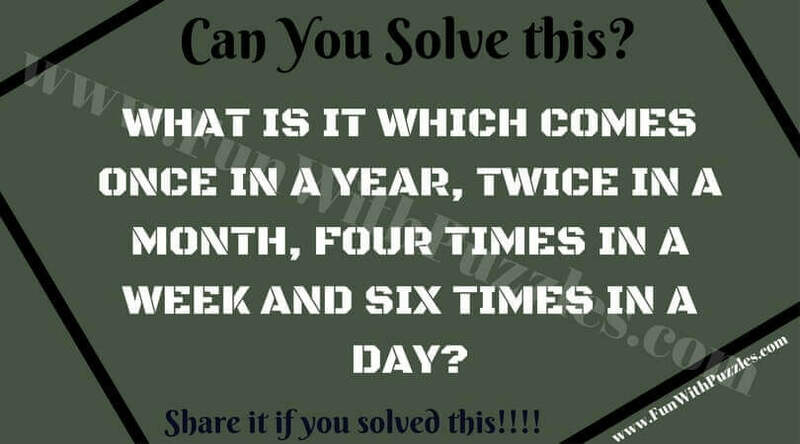 Answers for these creative thinking brain teasers is given at the end. 1. Can you solve this creative thinking puzzle? 2. 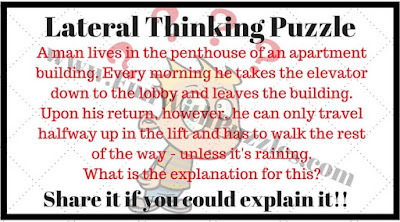 Solve this creative thinking building puzzle? 3. 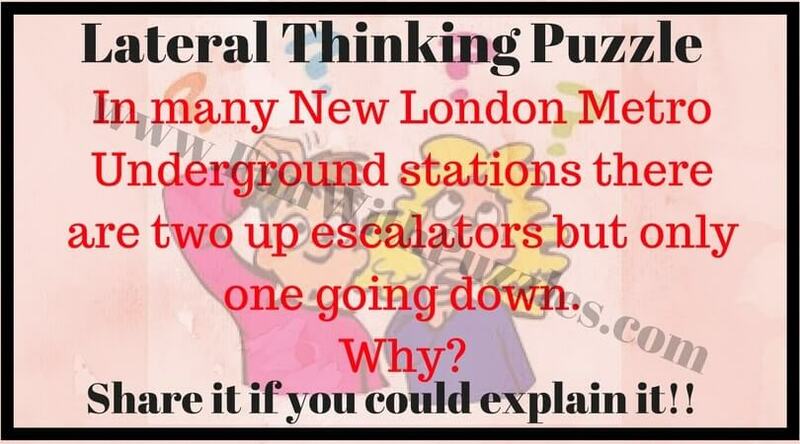 Can you solve this lateral thinking puzzle? 4. 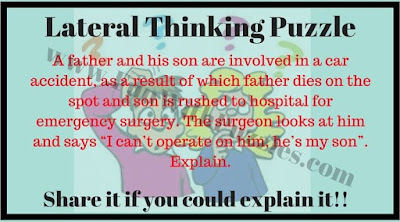 Can you solve this out of box thinking puzzle? 5. Can you solve this tricky out of box thinking puzzle? 2) Man's height is small and he cannot press the height floor buttons. However on the rainy day he is able to press the higher level floor button with umbrella. 3)Surgeon is mother of kid. 4) When train arrive then there are simultaneously more number of people leaving the station. This is the reason there are more up escalator as compared to down escalators. 5) Answer is count of Odd Number. 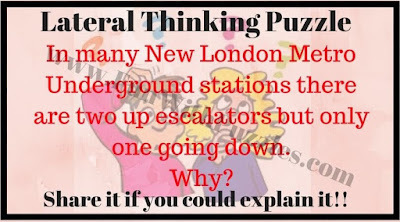 Click here to read explanation of this puzzle.